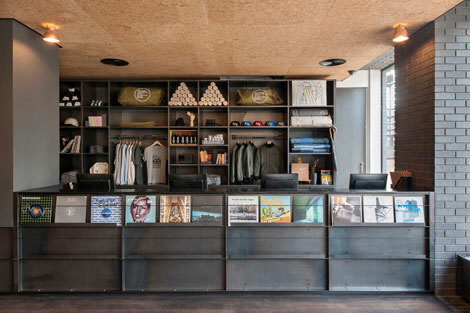 Ace Hotels was founded in Seattle in 1999 as an alternative to the uniform approach adopted by corporate brands. Its properties are contemporary, design-led and purposefully set-up to become a part of, and feed off, the local community. 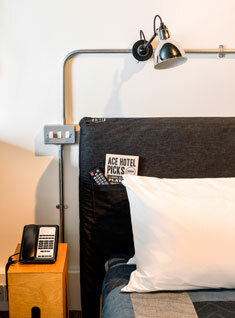 In 2007, Ace opened a second property in Portland, Oregon, and has since opened hotels in Palm Springs, New York and now London. 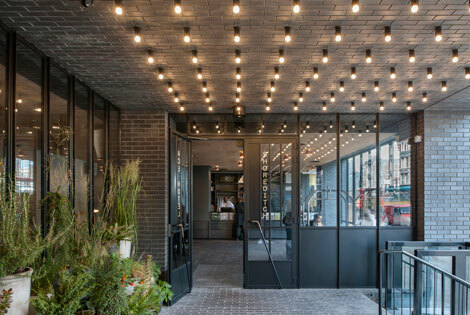 A Los Angeles hotel is scheduled to make its debut in January 2014.
Business Traveller stayed at the brand’s new Shoreditch property on Halloween, a few weeks after its opening. In a word, trendy, although that slightly denigrates what is actually an inspired and extremely comfortable place to stay. It does, however, very much cater for a more cosmopolitan crowd than does the average hotel. 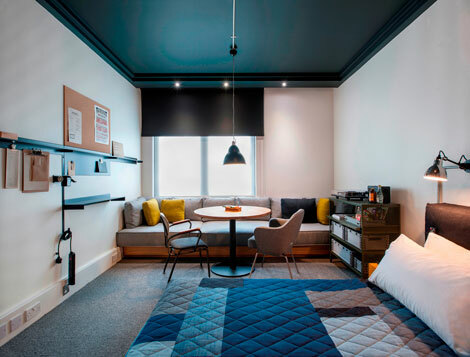 Extremely large, Ace Shoreditch has 258 guestrooms, a restaurant, bar, cafe, gallery space, basement nightclub, takeaway juice bar, and even a florist all contained within. 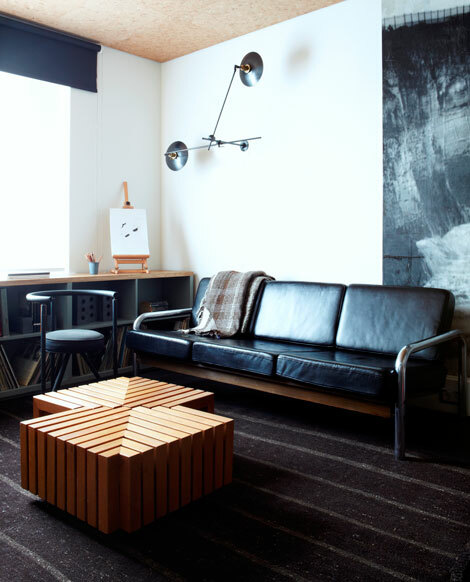 Despite having only been open for a matter of weeks, the hotel had a lived-in quality, partly the result of vintage-styled furniture and dim lighting, but also because of the building’s simple interior decor. In this, it is similar to the brand’s Palm Springs property, where I spent a night two weeks prior to my stay in Shoreditch. Although poles apart geographically and architecturally, both hotels nevertheless share a distinctly timeless feel through choice design. On Shoreditch High Street in fashionable east London. This whole area has undergone a complete overhaul during the last decade or so and is now the capital’s most popular area for young people. I was staying in room 402, a Deluxe Double on the fourth floor. It offered an amazing view over Moorgate and St Paul’s. The room was quiet, aside from the gentle hum of people and traffic below on the very busy Shoreditch High Street. It had a grey carpet, with black speckles, and white-painted walls, with a mural painted directly onto one. This is a feature of the hotel – each room has a unique mural painted by a different, local young artist. Mine was by Super Mundane and was dated 2013. The queen double bed had a wooden frame and was quite low, being about a foot-and-a-half off the ground. There were two reading lamps on either side, above the bed, while varnished wooden crates doubled as bedside tables. A phone sat on one. In the centre of the room was a round oak table with one central leg, and a chair on either side, one cushioned, the other wooden. Hanging from the ceiling and reaching just 60cms above the table was a lamp. Along the entire back wall ran a long, built-in sofa that was very comfortable and could easily double as a second bed. The large window above the sofa had two blinds – one white, the other a blackout. An HDTV was attached to a bracket on the wall opposite the bed, and could be angled so you could watch it from the table/sofa area or from the bed. Unusually, an acoustic guitar hung on the wall to the right of the television and there was a turntable and four LPs. Each room has different records – mine included Grace Jones’ Slave To The Rhythm, which I put on for a few minutes before its mid-80s production began to grate. The records were in a good condition, presumably because the hotel had recently opened and they had yet to be carelessly handled. The bathroom was located immediately to the left on entering the room. It had a black sink and floor tiles and wooden stool with a corkscrew seat. Above the (white) toilet were two baskets – the one on left contained towels, while the one on the right was empty and for used towelling. Two smart, grey Ace-branded dressing gowns by Wings & Horns were hanging on the back of the bathroom door. In the shower were three large bottles of Davines & Rudy’s Barbershop-branded shampoo, conditioner and body wash. The shower itself was Oxygenics and inside the large bathtub, but was pretty powerful. Next to the bathroom door in the bedroom was the wardrobe with a sliding door that automatically triggers an interior light once opened. It contained coathangers, a safe, hairdryer, iron and ironing board. A long mirror was fastened to the wall opposite. Also in the wardrobe was a fridge with drinks including bottles of white wine, ginger beer, water and cans of Red Stripe. Also in the room, on a shelf above the television, were bottles of Jamesons and red wine. A metal cabinet, with the turntable and a Revo radio on top, was to the right of the bed. It contained food and sweets including Monster Munch crisps, popcorn and Pot Noodles. The room was well thought out and extremely homely, for want of a better word. The old adage about a hotel room being a home away from home is rarely true, but this really was a comfortably casual environment to spend the night in. My only complaint would be that the air conditioning was a bit loud, so I was grateful my stay wasn’t in the summer. Hoi Polloi, an “English modernist brasserie”, is on the ground floor and can seat 100 people, with 40 more in the adjoining bar area. Filled with wooden booths, it has the appearance of a smart American diner. It is open from 7am until late and its menu from 11am-11pm includes plaice, rabbit and hamburger and chips. An overnight room service menu runs from 11pm-7am. Breakfast can be taken either in Hoi Pollio or it can be delivered to your room – simply fill in an order form and stick it to your room door with a magnet before 2am. There is also a lobby bar and a (separate) coffee shop, called Bulldog Edition, that cater for both guests and passers-by. Both are located between reception and the Hoi Polloi restaurant. In the basement is another large bar/nightclub. This had yet to open when I stayed, but was nearing completion. Sound-proofed, it looked like it could easily host a couple of hundred people. A conference space on the seventh floor that accommodates 200 people is scheduled to open in May 2014. Also on the seventh floor will be four smaller meeting rooms. These plans are subject to change. Adjacent to the reception is a lounge with armchairs and a long table with a bench running along each side. During my visit, the area was pretty full with people talking or working on their laptops. A gym is located in the basement with equipment supplied by Life Fitness, including a rowing machine, two treadmills and two cycling machines. There is also a sauna. 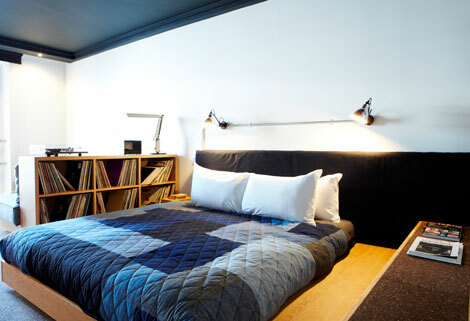 Some might find Ace Hotel Shoreditch London “too cool for school”, but it it is an impressive hotel for those who prioritise comfort and an informal atmosphere.